Since 2016, the International Blackcurrant Association organizes a “blackcurrant contest” every two years. Any company manufacturing traditional or innovative products with blackcurrants can take part in the contests. 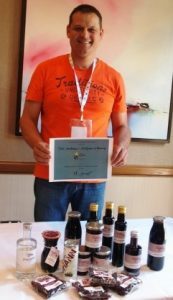 The blackcurrant contests take place during our international blackcurrant conferences. There is no fixed date for these conferences, but our member country associations generally organize them in June. WHY HAVING A BLACKCURRANT CONTEST? France mainly produces liqueurs (crème de cassis). United Kingdom’s blackcurrants mainly go into the production of Ribena. German customers will buy blackcurrant juices and blackcurrant nectars. In Poland, people eat blackcurrant jams. And in Japan, a country without commercial blackcurrant production, customers buy nutraceuticals made with blackcurrant extracts for a better eyesight. And this is how it goes in every country of the world. 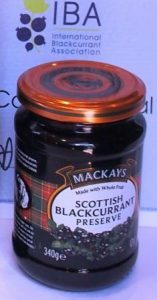 Of course, beside these mainstream products, there is always a small production of original and innovative blackcurrant products. Anyhow, whatever the blackcurrant product is, it rarely crosses borders. And finally, it has difficulties to get into the habits of other countries. This is the reason why we have started our blackcurrant contest: we show each other, the press and the public what processors can make with blackcurrants all over the world! 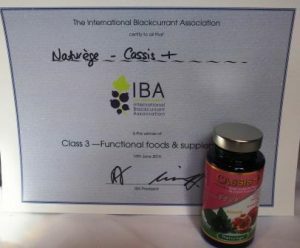 If we call it “blackcurrant contest”, this of course means that there are winners! A team of 6 blackcurrant professionals examines, tastes, looks closely at each of the products behind closed doors. Each of them notes his or her comments on the general aspect, labels, content and taste (if applicable) of the samples. Meanwhile, all the participants of the conference can have a look at the other samples, which we openly display in the meeting rooms. A deliberation by the panel will determine one winner per category and an overall winner for an innovative product. 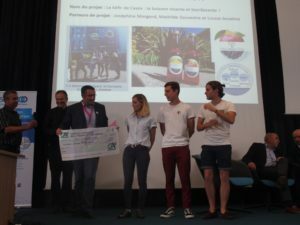 But not only the four winners take advantage of their participation: every exhibitor wins by displaying his/her product to the public – and may gain new customers, markets, and have publicity! 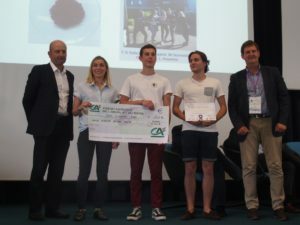 The second blackcurrant contest in Angers has put much focus on innovation. The organizers have therefore established a partnership with the local Higher School of Agriculture. 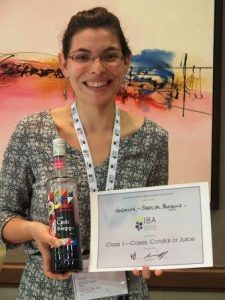 35 students have thus worked on the development of new blackcurrant products. They had received basic ingredients from our partners: blackcurrant IQF (Windmill Hill Fruits) , blackcurrant juice (Nectars de Bourgogne), natural blackcurrant flavor (Austria Juice), blackcurrant pepper (Nectars de Bourgogne), blackcurrant puree (Fruits Rouges & Co), blackcurrant leaves (PMA 28). Out of these basics, they prepared an amazing range of 11 tasty and innovative products, only waiting for commercialization by a big transforming company. Together with these products not yet available in the market, we have tasted and tested a range of already existing products. They came from the Cassissium (France), La Piautre (France), MacKays Scottish Preserves (United Kingdom), Radnor Preserves (United Kingdom), Rocks (United Kingdom), White Heron Drinks (United Kingdom) and Windmill Hill (United Kingdom). 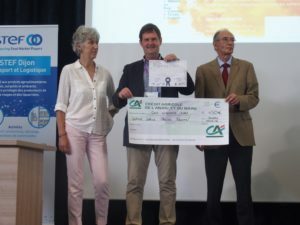 Prices were offered to the winners by the partners of the contest: Crédit Agricole and Giffard.